Iron is an essential element taking a part of whole plant metabolism activities. It is a vital element for chlorophyll synthesis besides Fe takes a role at oxidation and reduction reactions. With iron deficiency, young leaves start to turn yellow while veins remain green. Photosynthesis badly affected. Yield and quality loss observed. Iron deficiency symptoms not only observed with the deficiency of element but also observed at limy soils and/or negative conditions (groundwater, excess irrigation, drought, intense P applications, high calcium carbonate rates etc.). It is possible to find iron rich soils at Mediterranean region. Italy, Spain, Turkey are few examples. But because of the high lime this iron turns to insoluble form iron hydroxide and barely absorbed by plants. Thus chlorosis appears even there is iron in soil. With high pH condition remains, iron stays unavailable. In this condition regularly chelated iron application must be done at cultivated plants. EDDHA is the best iron chelate for soil application and ortho-ortho isomer of EDDHA is the most effective one at high pH soils. 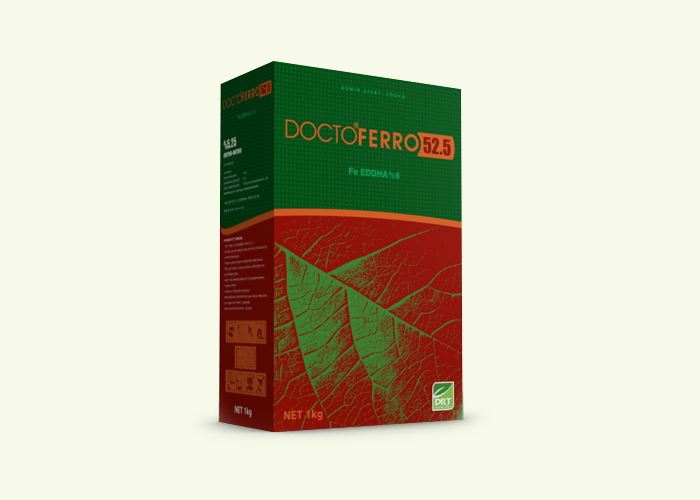 Doctoferro52,5 is not only applicable to soil but also safely applicable at hydroponics. If necessary, foliar application is also safely done. Why Doctoferro52,5 is so effective? 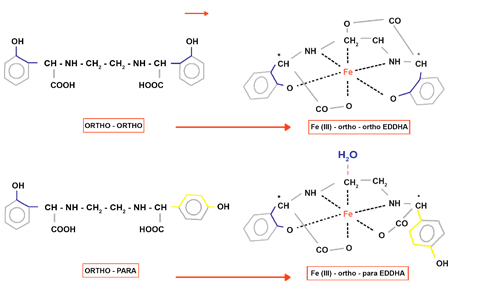 Chelates are the molecules that provide important materials to plant as their available forms when needed. Briefly chelate is a molecular structure protects available metal from forming unavailable compounds. 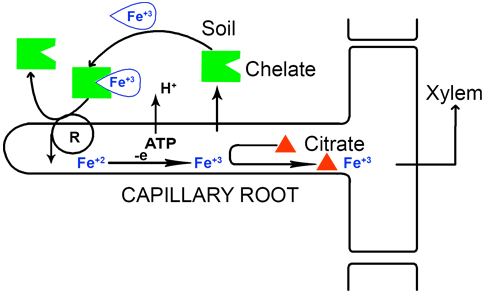 Structure of chelates contain three components; the metal they contain (exp: Fe+3), chelate material (EDTA, DTPA, EDDHA, amino acid, humic, fulvic acid, citrates) and additional ion (Na+ or NH4+). Chelates supply contained metals to plants but they don’t penetrate. There are many chelate forms in the market. 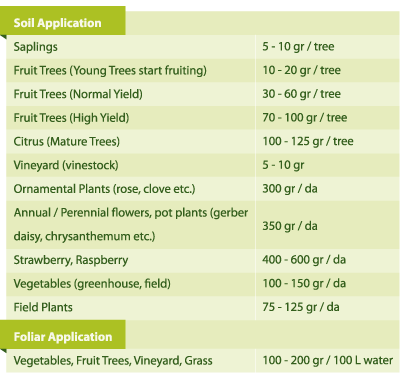 The preferred form of chelate changes according to soil pH that will be applied and the cost that farmer is going to pay. EDTA is the usable chelate for micro elements like copper, manganese and zinc. 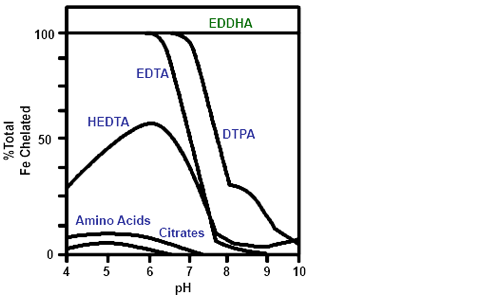 These elements can be applied both from soil and foliar with EDTA. For Iron application EDDHA chelate should be chosen if soil pH level is high. Because, its effectiveness scientifically proven even at high pH soils. And it is the only active chelate form above pH level 7. Iron is supplied to plants by chelate then chelate material remains in the soil. According to ortho-para, ortho-ortho chelate can remain longer in soil and bind with unavailable iron to make it available for plants. This is called “Iron shuttle effect” or “effect transporter”. Studies showed that the most beneficial Fe chelate form is ortho-ortho-EDDHA for soil applications. Doctoferro52,5 EDDHA 6% is a EDDHA product contains high amounts of ortho-ortho. Minimum 88% of iron that product contains, chelated by ortho-ortho isomer. Its availability is very high with minimum 5,25% ortho-ortho content. It is the most logical iron fertilizer choice under cost-benefit analysis. Doctoferro52,5 Brochure Download click here!